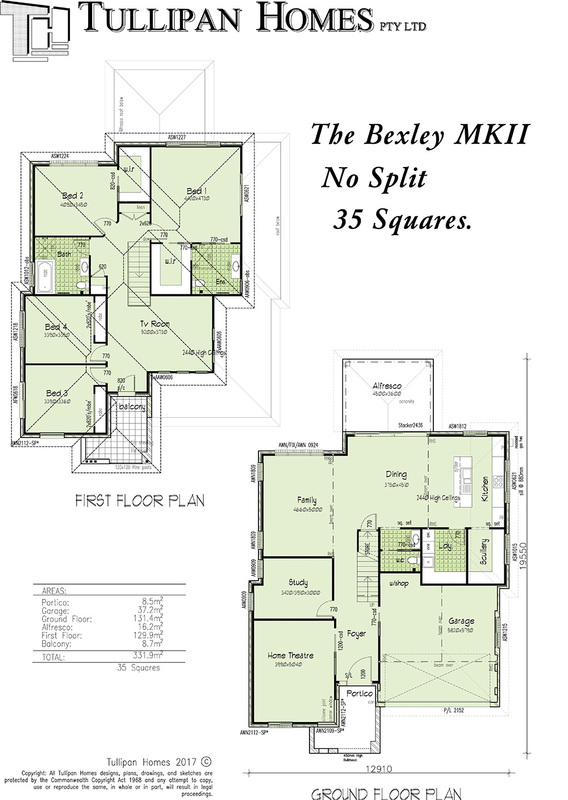 Introducing our NEW Bexley MKII Double storey design. 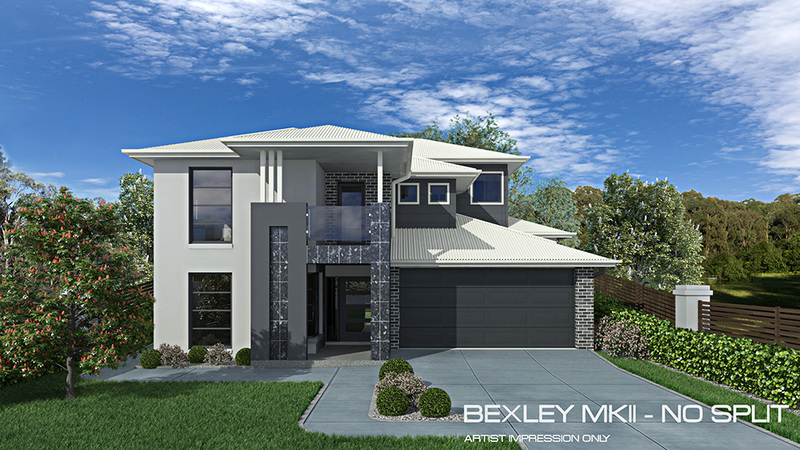 This impressive home design is designed to cater for level to gentle sloping land. The Ground floor Entry foyer level includes a spacious Home Theatre room with wide span cavity sliding door + private study, the rear ground floor area opens up a large expanse of Open plan Living areas which combines Family living / Dining & Galley style Kitchen with modern isolated island bench. Indoor / outdoor dining is catered for by the Large covered Alfresco area which is serviced by wide span stacker sliding doors. 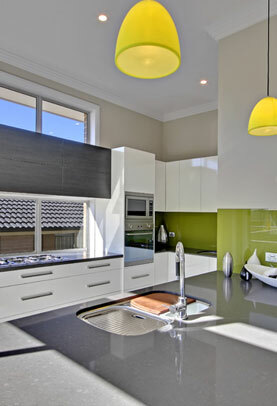 The Kitchen includes the much sought after spacious Scullery room directly adjacent to kitchen work area. The Laundry is handy to the Kitchen location and includes functional Lamiwood bench cupboards providing an abundance of storage space. A separate Two (2) way Powder room conveniently services the living spaces and outdoor areas. Positioned midway between the Family room & Master Bedroom floor levels is the spacious Tv room + Beds 3 & 4, The Tv room includes a modern Elevated 1st Floor Balcony with frameless glass railing & ceramic floor tile finish. 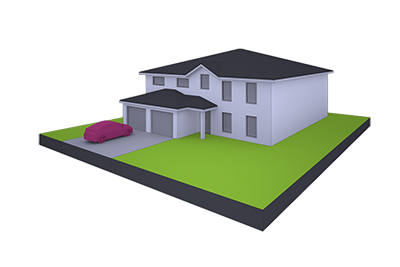 The Master Bedroom, Bed 2 , Bath & Ensuite are located on the first floor, both rooms include massive walk in wardrobes & spacious functional bathroom/Ensuite layouts. 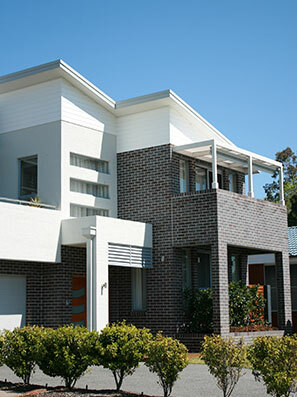 The stunning façade includes a combination of face brickwork and cement render & painter exterior finish + feature weatherboard cladding. Wall tile exterior cladding features are also included to the Portico walls and recess panel as indicated. The Home Theatre room includes a custom architectural Silicone jointed corner window broken into four custom horizontal panels which match the two other tall custom windows of the Home Theatre + Bedroom 3 above to enhance this stunning Metro style façade.